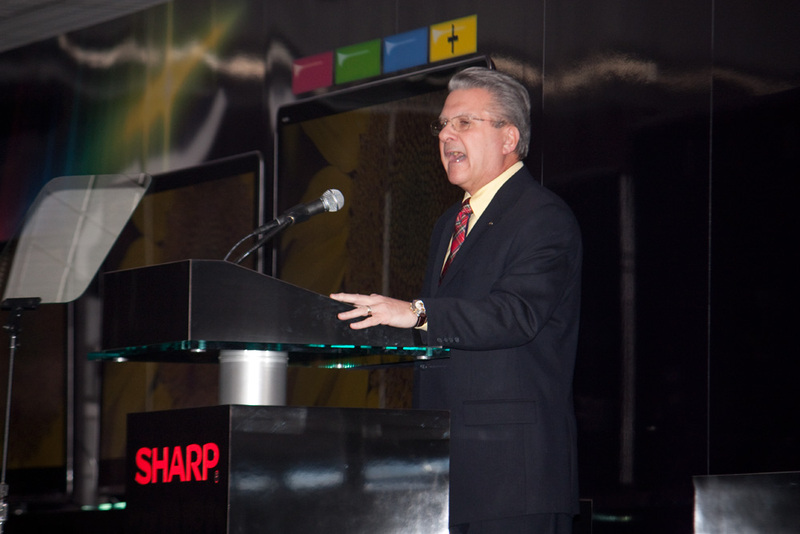 At CES 2010, Sharp unveiled a line of new products, including their new “Quad-Pixel” technology and new line of Sharp’s AQUOS televisions. 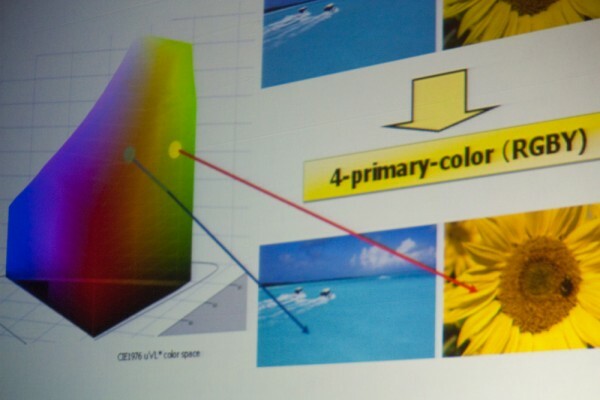 Quad-Pixel technology features an additional color, yellow, into the conventional RGB spectrum. This allows for better colors such as greater gold, deeper Caribbean blues, and amazing shades of yellow. With RGBY, a user can see an impressive one trillion colors, rather than the traditional one billion with RGB. As the presenter put it, in terms of time, it would take 32 years to count one billion seconds, but 32,000 years to count to one trillion. The quality of the images and pictures on these new LE models using RGBY looks stunning. Sharp is releasing three LE models: the LE 920, LE 820, and LE 810. The LE 920 series comes in 52-inch, 60-inch, and 68-inch (the industry’s first) sizes and feature an edge lit LED 1080p X-GEN panel. This allows for better color and more inky blacks as it prevents back light from leaking in. 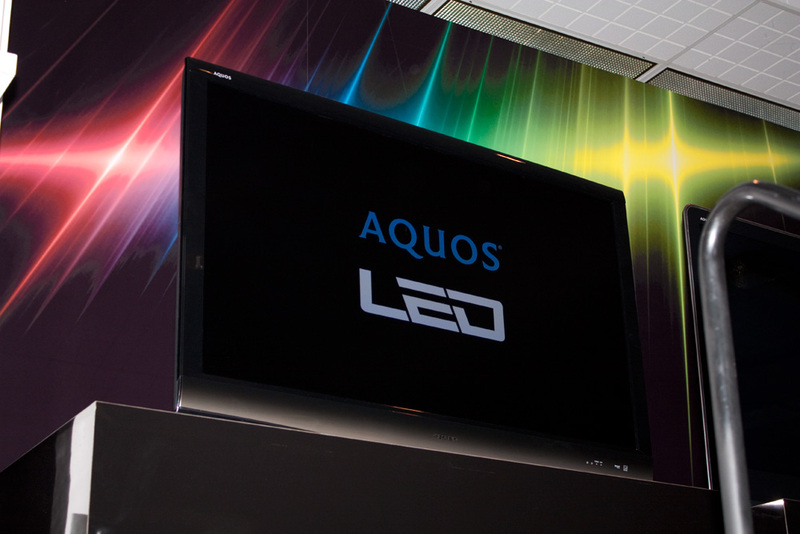 In addition to being only 1.6-inches thick, the Sharp’s HDTV runs at 240Hz and boasts lower power consumption. They’ve also introduced new Netflix and Twitter widgets to complement the existing ones on AQUOS Net. From what I saw at the press conference, the quality of the images on the screen looked stunning. By introducing yellow as another pixel, the picture does appears to be “more real”. However, until I can do side-by-side comparisons of RGBY and other competitive models, it would be unwise to take sides with which TV is better. Plus, most presentations have the TVs running at max brightness in the most vivid modes possible. After hours of looking at all the new show floor models, many of them looked promising. Sharp also announced a few new products, including a home theater system (BD-MPC41U) with a built in iPod dock and a new BluRay (BD-HP70U) player with Netflix. 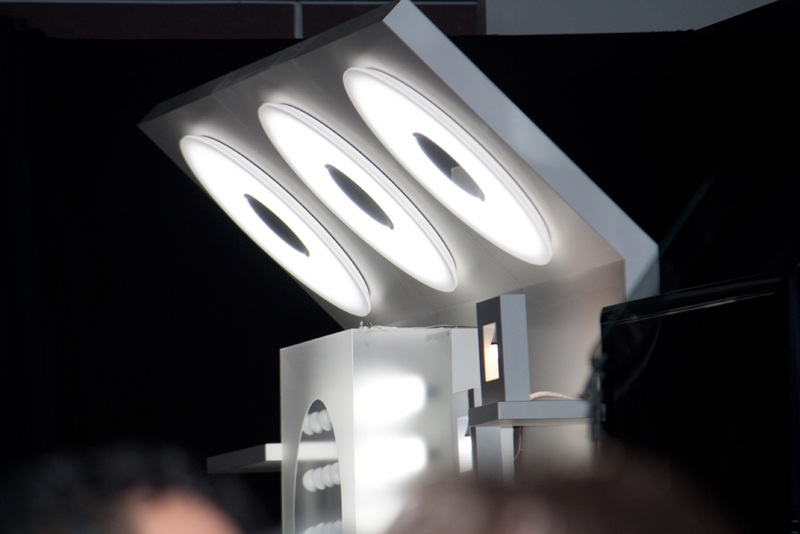 Sharp also unveiled a new line of innovative, energy efficient LED light bulbs. 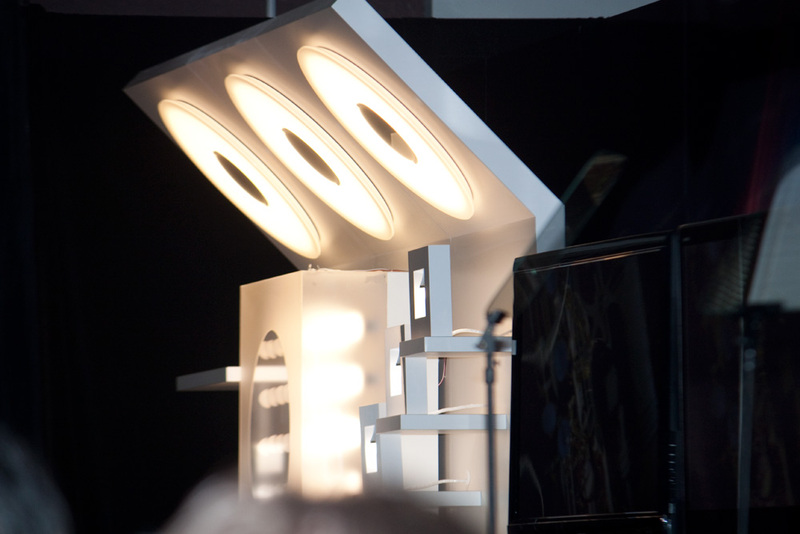 These bulbs let you change the color from yellow to white and set the brightens easily.